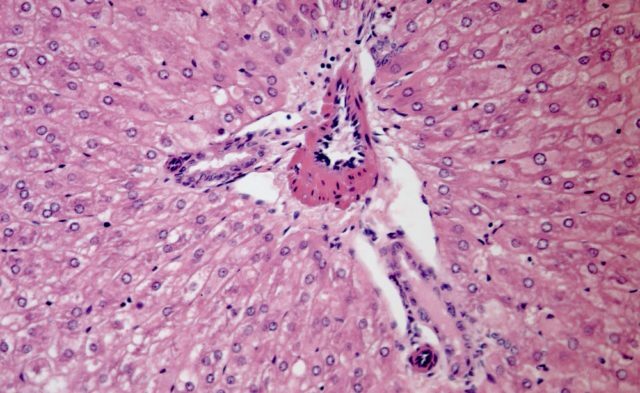 A recent study found no evidence linking the presence of HCV infection with neuropsychiatric symptoms. Disabling chronic fatigue is reported in approximately 60% of patients with confirmed hepatitis C virus (HCV) infection,1,2 as well as decreased quality of life (QoL)3,4 and cognitive dysfunction (eg, deficits in attention and verbal learning).5,6 While these neuropsychiatric symptoms may be expected in patients with ongoing HCV infection, it is questionable whether these effects are also present in HCV-exposed patients who currently are cured of the infection (polymerase chain reaction-negative [PCR-]). In this study, researchers recruited 159 anti-HCV-positive individuals without advanced liver disease from an outpatient clinic for viral hepatitis at Hannover Medical School in Germany and an HCV patient support group. Patients were excluded if they had a comorbidity that could confound the study results (eg, drug addiction, neurologic or psychiatric disorders, liver disease from conditions other than HCV infection, HIV co-infection, or hypothyreoidism). Patients answered a series of HRQoL, fatigue, and depression questionnaires, and underwent a battery of attention and memory tests. In addition, patients were divided into 4 groups according to their viremia status and interferon/ribavirin (IFN) treatment history ( successful [PCR-/IFN+] IFN therapy;  unsuccessful (PCR+/IFN+) IFN therapy;  never treated and PCR+ (PCR+/IFN-); and  spontaneous virus clearance (PCR-/IFN-). Their responses were examined against norms based on test manuals and compared with those of 33 age-matched health controls. Of the 159 patients, 122 (77%) were PCR+ at the time of the study, with 59 (48%) not responding to antiviral therapy (PCR+/IFN+) and 63 (52%) not treated with antiviral therapy (PCR+/IFN-). In the 37 PCR- patients, 22 (60%) cleared the virus with IFN therapy (PCR-/IFN+) and 15 (40%) cleared the virus spontaneously (PCR-/IFN-). Liver function was normal in all patients, and age was similar among patients and controls (mean age 48.5 to 53.3 years). The researchers found the following: (1) PCR+ and PCR- HCV-afflicted patients with only mild liver disease but neuropsychiatric symptoms did not differ with regard to the features and extent of these symptoms; (2) chronic fatigue was the most frequent neuropsychiatric symptom and had the most significant impact on the patients’ HRQoL; and (3) significant cognitive dysfunction was present in approximately one-third of the patients with neuropsychiatric symptoms and was not affected by the presence of depression. This study was potentially limited by a “selection bias” that resulted in the greater impairment in the PCR- patients compared with PCR+ patients. This can be explained by the greater likelihood of PCR- patients with symptoms rather than their counterparts without symptoms to seek the services of the hepatitis outpatient clinic or patient support group from which the study participants were recruited. Hassoun Z, Willems B, Deslauriers J, Nguyen BN, Huet PM. Assessment of fatigue in patients with chronic hepatitis C using the Fatigue Impact Scale. Dig Dis Sci. 2002;47:2674-2681. Carithers RL, Sugano D, Bayliss M. Health assessment for chronic HCV infection: results of quality of life. Dig Dis Sci. 1996;41:75S-80S.